D.J. 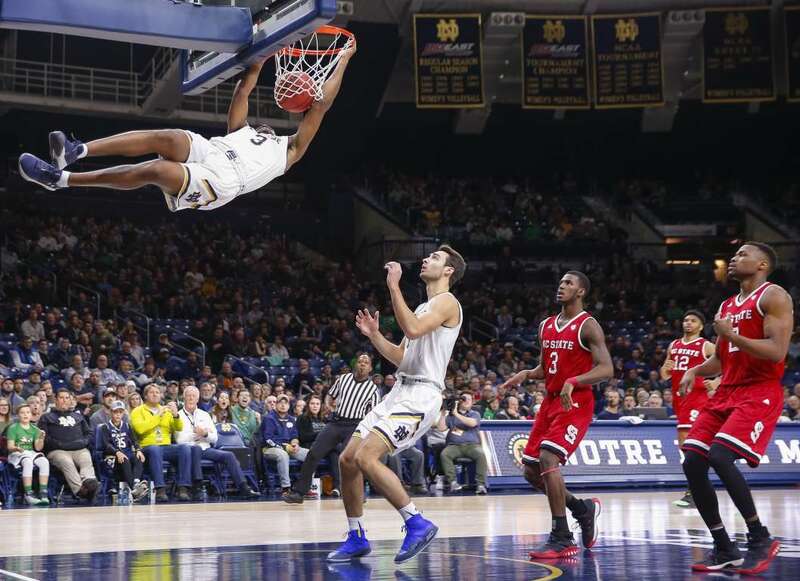 Harvey of the Notre Dame dunks against North Carolina on Wednesday in Indiana. Notre Dame won 35-14.